Perfect choice for passionate ride through Split archipelago. 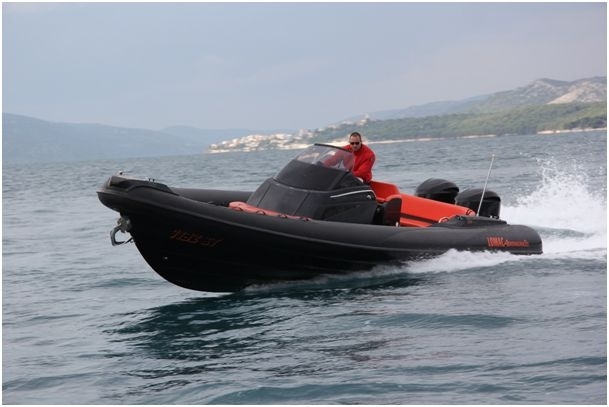 Lomac Adrenalina 9.5 is one of the most attractive RIBs on the market today and as the name says, it will provide you high amount of pleasures and fun. Perfect choice for passionate ride through Split archipelago. 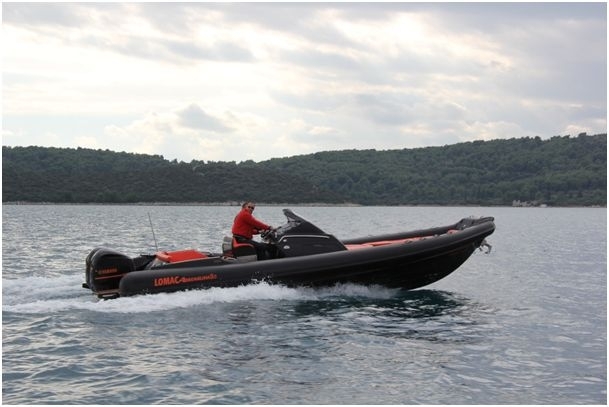 Lomac Adrenalina 9.5 is one of the most attractive RIBs on the market today and as the name says, it will provide you high amount of pleasures and fun. It can accommodate up to 12 persons and is equipped for highly comfortable cruising. Doesn’t matter if you are not fan of adrenaline ride as Lomac can go both ways, however you prefer. Powered by two Yamaha engines with 300 hp, easily take you up to max speed 53 kts, or to crusing speed of 30 kts. Skipper can be hired for 90 EUR per day.